Many people go online searching for ways to make money. They are looking to the internet for a business that can make an income. Too often they join programs that promise to make them a fortune, with little or no work – but often these are just scams. Yes, there are people making a lot of money online and there are also people that are making a full-time income, for part-time work. Sounds great – right? But wait… before we get ahead of ourselves. There are many more who aren’t making anything. Not everyone is making $1,000’s of dollars a day online. In fact, in truth, only a small fraction of people online, are making over $500 a month. Extra Income means an income that you can earn apart from the regular money you receive from your employment, or what some refer to as, ‘traditional‘ work. This additional income can be used to pay off debts, or build up some cash reserves, or provide additional income security, so you can one day quit your regular job. Not everyone wants to work a second job, but having a second income, or extra money, is a desire of most people these days. The extra income opportunities available today online, thanks to the internet, means there is a lot of options like writing, marketing and simple technical and non-technical jobs, even income from advertising, which could augment your regular income. However, there are many things standing between where they are now and the financial freedom they desire. The income that can be earned form these opportunities depends on how good your skills are, in the selected field of endeavor and whether you know how to market those skills. In order to achieve a moderate success in generating additional income, one should be aware of their strengths and weaknesses. This would greatly help in the selection of a most suitable way to generate an income online. The selection process consists of logical steps. Firstly, one should honestly assess their strengths, what are they good at? What do people around them complimenting them on? What is it they like to do? If you want to create a business online, the name of the game is ‘focus‘ and building ‘quality content‘ in order to attract a following. So you need to be passionate about the topic(s) you choose because readership and comments are going to be important for you business. Particularly if you want to rank well on Google. Like it or not Google is the most visited website on the planet and therefore the number one search engine and traffic source on the internet. They are also the second most valuable brand in the world (behind Apple) and have been so for the last five years. Internationally, Google has over 70 offices outside the US. It’s Gmail, for example, is the world’s most popular email service, with over a billion active users (as of February 2016). So rankings on Google are important for any internet based business. Your URL name is not so important these days. People don’t find you because of the name of your URL or your email address, rather they will find you because of your rank in Google. So if you are looking to build your business outside of your existing customer base, people who already know your URL, or already know where to find you, then you are going to need search engine traffic. Appropriate keywords or keyword phrases being searched on Google are more important than your URL. So if you are serious about getting ranked, then initially you should focus first on low competition keywords, NOT high volume keywords, as many people recommend because it’s about being ranked in google firstly, then once your have a good ranking, you can work on building volume. You are better to have five or six page one rankings for lower volume keywords than attempting to get a middle page ranking for a ‘high competition’ keyword. “Getting ranked in Google is what will bring you free targeted traffic. 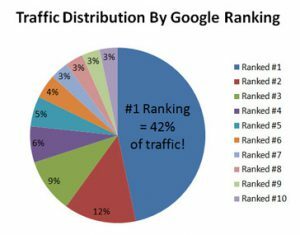 Having a page one ranking will on average bring you 42% of the traffic going to that specific keyword”. The more Google likes your site, the higher they will rank you. So if you know how to create quality content then all we need to do is put it in front of ‘organic traffic’. This is traffic that comes from the keywords or phrases you elect to use and those that people are searching. So before you go nutty, like a crazy cat trying to figure out how to rank on Google. And before you waste more hours and many dollars been misled by so-called online experts, who all too often just want sell you a high priced program that promises you things they can’t deliver. Let me, make your life a little easier and explain a few things about how to get ranked on Google. Because there are effective ways to get free, targeted, and sustainable visitors to your website, despite the many recent changes within Google. Without Traffic or visitors to your site, it will not matter how wonderful your talents and skills are, or how good your service or products are if no one can find you. Your business will be dead-in-the-water before it gets off the ground. Remember that only a small fraction of people online are making over $500 a month. To get this free organic search traffic you will need to utilize frequently used keywords in order to rank well within Google because, without keywords, it would be difficult for people searching to find your articles, pages, and posts. Keyword phrases are simply the queries that people type into the likes of Google in order to search for and find whatever they’re looking for. Most people generally split keywords, into two main categories. The head, and the tail. But it could actually be split into three groups. The Head, the Body, and the Tail. 1. Head Keyword phrases are generally just one or two words, that are very popular but often generic terms. An example would be the word, “Marketing”, or “Internet Marketing”, or “Online Marketing”. These type of Keyword phrases (Head Keywords) are those that have high search volume, which is good in one way, but they are also difficult to rank for. This tells us that there are over 340 Million results for this particular keyword. But we don’t know whether ranking for it – would be difficult. In the next screenshot (below) using a keyword research tool, we can see exactly how much monthly traffic the keyword phrase “internet marketing” brings if we got on page one of Google. More importantly, it also tells us how much ‘competition’ there is for that particular keyword phrase. In this particular, case the KQI is a red dot which indicates there is, very high competition for this particular keyword phrase. – So ranking for this Keyword Phrase would be difficult. 2. Body Keyword phrases are generally two to three words and usually, get searched less than a Head keyword phrase. Examples of Body keyword phrases would be “Internet Marketing Online” or “Online Marketing Tips”. Again using the same keyword research tool we can see in the screenshot below, that the monthly traffic volume for the body keyword phrase “internet marketing online“ is much less than the Head Keyword Phrase. Yet despite this, again the KQI is still very competitive, another red dot. – So ranking for this Keyword Phrase would also be difficult. Note also the QSR (which is the number of competing websites) is 410, a little lower than the 500 in the screenshot above, But it is still a very competitive keyword phrase. (So I personally wouldn’t pursuit it). 3. The Tail Keyword phrase (also known as “long tail keywords”) usually contain three or more words and these are usually searched less often than Head and Body keyword phrases. 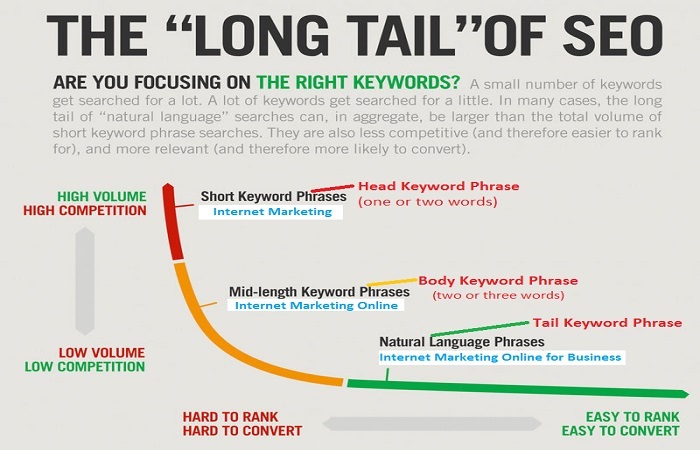 An example of long tail keyword phrases would be “Internet Marketing for Online Business” or “Online Marketing Expert Tips”. However, these long tail keyword phrases are more likely to have ‘commercial intent’. By commercial intent, we mean it is more likely to convert to a sale because the searcher is being much more specific in their request for information. Using the keyword research tool again, we can see in the screenshot below, that the monthly traffic volume for the ‘long tail keyword’ phrase “internet marketing online for business“ is much less (but still good) than the Head and Body Keyword Phrase. However the KQI dot is Green – and this is Great and this is what we are looking for. Also, the QSR shows us that there are only 187 competing websites for this particular ‘long tail keyword’ phrase and that is way better than the 410 competing websites in the last example. So the chances of ranking for this keyword phrase is much higher than the Head and Body type keywords, previously examined. I want you to understand how valuable this type of keyword research is. You already know that keyword research is important when deciding on what keywords to use to bring in visitors. But it’s not about the quantity or volume of traffic, as many believe, but rather the quality of the traffic that is far more important. Having very targeted traffic that takes action, is way better than a ton of traffic with low commercial intent. The challenge that many business owners have when trying to market online is, How to get visitors to their website?. How to hit the top spot in Google? And of course, understanding the ‘magical‘ process of achieving good rankings for their website. We said earlier that it’s not the volume of traffic, but the quality of your visitors and if you want your online business to be more profitable. Then this is the type of keyword research you need to greatly improve your chances of generating targeted traffic to your website. For more on this type of keyword research and this particular research tool, and see how I get my posts and pages on page one of Google, you can visit my post: Internet Marketing for an Online Business. 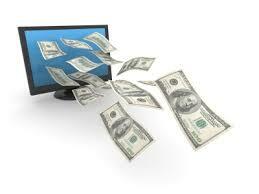 There are hundreds of different ways to make money online with a website. I personally prefer using the affiliate marketing and digital products model because I like to create something and this business model allows me the freedom to choose which markets I promote, the methodology I use to reach my customers, the strategy, I implement, to sell to them over and over. Your Own Products – Selling these maximizes your profits and attracting affiliates for your business who can then sell for you. Most of the big names in the business world make money by creating and promoting their own products. The main reason for this is so that they get to keep a major portion of the profits. And if you are serious about joining these successful people, then you will have to develop your own products as well. Creating a product to sell online, however, can be a daunting task and successful marketers are constantly having to come up with more and more ways to stay on top of the trends if they want to continue to dominate their marketplace. So this is not something many beginners want to tackle in the beginning stages. So they usually promote other people’s products and service via the affiliate Marketing model. However, what’s important is to ensure that you promote programs that are first class, so the people will want to join them and will want to stick with them after they join and also so that you build a reputation of promoting quality. Even more importantly, though, before the product, is the need to deliver value to your readers. 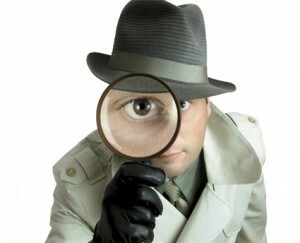 They are looking for information and answers to questions They are not necessarily looking to buy something. So it’s not about trying to sell them, but rather it’s about providing them information and answers. So having quality content is vitality important. It takes time, to learn what you need to know about making money online. It is not a get-quick-rich, over-night millionaire system. It’s a process and it’s about knowing what to do and knowing ‘how’ to do it. 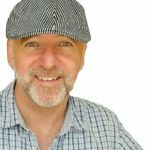 “Prior to Learning ‘How‘ I had was struggling to make money and going from one ‘Bright Shiny Object’ (BSO) to the next, getting ripped-off being scammed, and becoming very frustrated. Now five years later, I know exactly what you need to get on the fast track. All the pieces have been together for you in one place because I know how hard it can be to get the right information on how to make money online. It’s the video training course that I wish I had when I first started out. Today, you can access over 300+ ‘how-to’ videos, that walk you through the entire process of internet marketing at a price I know you are going to love. 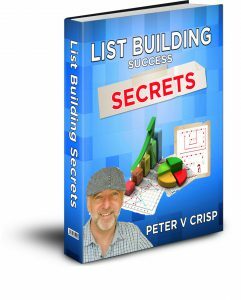 It covers all the things you need to know and it’s all-in-one, complete training course. The good news is that you can get this entire course Teach Me How (that I normally sell for much more) is available for a big discount because I want to help you get started. I’m even going to give you my 60 Day Money Back Guarantee with this so that if you don’t absolutely love it, you can get a full refund just by asking and no questions asked. If you follow and implement what you learn with this course, work hard and are passionate about the topic(s) you choose to promote. And if you ‘focus‘ on building ‘quality content‘, and can attract a strong following for your site. Then one day, soon you’ll able to tell your boss ‘I am quitting this job’ – just like this guy in the video below. Getting this low-cost video course is entirely optional. If you have the time, you can go directly to Wealthy Affiliates and eventually learn everything need to know. It’s free to join and I recommend that you join, whether you get my courses or not.You can find out more by clicking on the banner below. It is a training program created by online marketers for those wanting to become online marketers. It’s an excellent place to get the much-needed education and you can do it at your own pace and from your own place. You also receive lots of support and help and answers to all your questions from within the membership community which is truly second to none. I am a member and have been since 2013 and they have taught me so much. I highly recommend them. My number ONE recommendation is to join Wealthy Affiliate. If you have enjoyed this post “Internet for a Business” please feel free to share socially or ask a question below. Thanks for your comments. Pleased you enjoyed the post. I absolutely agree with all you said here. But mainly, the importance of long-tail keywords, the quality over quantity when it caomes to get relevant and comnverting traffic to your site and of course the fact that it takes time and effort to build your online business. There are so many opportunities to create a living out of the Internet… You just need to followthe right directions and hape the appropriate support from people who has been there already. Thanks for the tips and advice! Very helpful article! Wow, Thais is a great article. It’s full of guides and information, I felt a little overwhelmed with everything you were sharing. So I went back and read it a few times so it all sunk in. I very much appreciate your candid and detailed review. Hey Peter, love everything about this post. I learned a few things I didn’t know and got clarification on some others. You’re right it is possible to make some extra money online, but you need the proper tools and knowledge, it takes a lot of work. Looking forward to reading the book, thank you! So much information, I had to take breaks while reading this. Really great information though, I’m so fed up of the get rich quick schemes. I like how honest your post is and it very informative. Its a lot to read to be honest, but I guess if you are really interested like me, you take the time to read it. Good Stuff! Hey Peter great information about starting and making money online. I have never thought about doing something like this. Now that I have read your article the information you have provided will help me with my online business. I am in the process of getting started and have started my webpage. I will take some pointers from this article to help me shape and develop my webpage and content. I definitely can relate to this post. The information is invaluable. I do like the step-by step plan you have laid out for beginners. Thank you for sharing your knowledge and experience. I like the site and the layout. I like that you used blue in your color scheme because it is a very effective color on the mind. I like the location of the video, and also the content very good quality and straight to the point. I hope to earn that extra income and thank you for your insight. This is a very informative post on internet businesses. I get really annoyed with all of the “get rich quick” schemes out there that basically promise that you will start bringing in lots of cash with very little work on your part. I think you are right on point that you need to understand how the internet works to make a business go well for you. It takes focus, drive, and passion to sincerely succeed. I have a site myself and i know a few things about keyword search, but your article was very informative and exposed me into more tips regarding the keyword choice. Also, you have given me some encouragement, because i’m in the web businesses quite some time, but i haven’t seen significant results since now. I believe that patience is the key to that. Thank you! Interesting post. I did not know anything about keyword research and now i got some insights that might help me if i decide to make my website. i guess looking for a highly specified keywords is the key to success. Can you tell me what is the keyword tool that you use for your research? Your article internet for business is loaded with a lot of information on how to succeed online. It shows how to make money doing what one really love. The area I love so much is the niche resaerch aspect. People talk so much about doing what one love or have passion for. Do you think all passion can make one money online? This site’s content is really informative and has great content value, all the content is laid out just right, I didn’t lose track of it. I’m a beginner with web business and I have limited resources, I just started out. This content also increased my will to succeed, even if you mention it will take a long time and resources and brain power. But that’s why I’m here at wealthy affiliate. I want to do this, I know it will be hard because of I’m, not a native speaker of English and I’m new to this website business thing. But I think if I continue doing this, I’ll get in return, develop a more advanced understanding of English language, learn a lot about websites, learn writing great posts, learning how affiliate businesses work, AdSense works, learn to generate content from my own mind, this is something that comes hard from me but I want to work on this to get better at creating content, It’s a skillset that people learn with time and effort, it just doesn’t come upon you, hey! I can write the whole book of content and earn from it. No, it’s a timely process of learning this skill and already thinking like this, I’m learning about things and changing my mindset about everyone else who does the web marketing. Hi Peter. I think that your website contains an amazing amount of content but I found myself in sensory overload when I read it. I would remove content that was not directly related to my niche if I were you, such as the content on scamming. I would also reduce the number of different fonts in use and would move the getting started page from the sub menu to the main menu. I’m new to this so my comments should be taken in that context. I must say that I agree with you, that amongst all the search engines google is the one that matters the most. And congrats on creating your own course, I’m actually considering buying it, just you wait. you’ll see my sale soon enough…wait for it. This is truly a once in a lifetime opportunity. 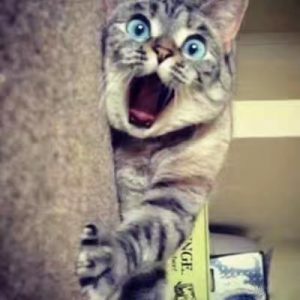 I just can’t wait…I want to generate affiliate revenue so bad it hurts. Very informative page. I think its going to be super helpful in getting my website better traffic and better rankings in google. I had no idea about which keywords were actually the ones to use. It all makes a lot of sense now after reading your website. Wow Peter! I am so impressed. I loved your website! I loved how you coordinated your fonts with color boldness and all the pictures and video inserts just catch the eye. Even though the read looks long, it doesn’t feel like it and it just keeps you reading on. I especially like how you just tell it like it is when you tell them about your products but then always advise them that WA can give them the same thing without making this purchase. I can only hope that I become half as good as this. I need to find how you added some interest pages into your dropdown catergorie section in my training, I must not have come across that yet. Thank you for your very thorough explanation about making the internet for a business. It seems the trend nowadays is to put your business online. I read so many articles already about earning or making money online and there are a lot of scams too mind you. I find affiliate marketing as the best way to start doing business online. Is this still correct and relevant up to this time? Do you think affiliate marketing will become saturated soon? Your article and your site as a whole are full of information and an excellent source for people wanting to do business through the internet. Wow. It’s an excellent article regarding the use of the internet to make money and set up a business online I came across in recent times. 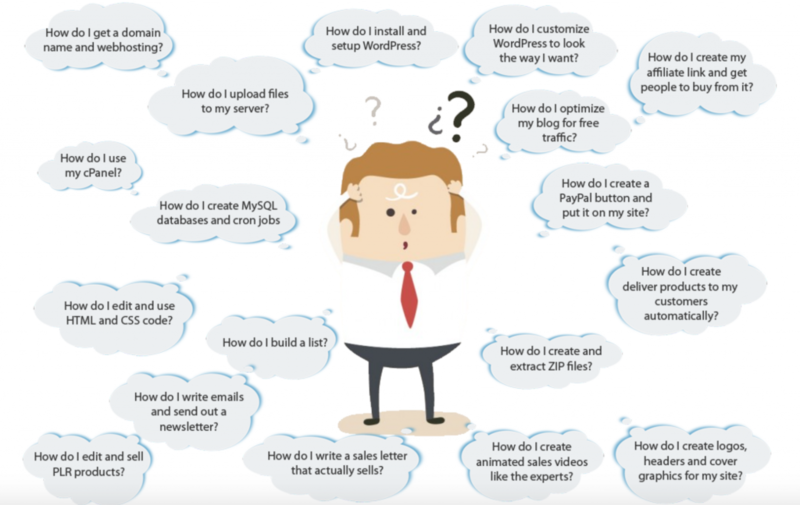 Its simple to understand through your content, how online business works. Especially, the keyword selection which is the key to getting ranked and receive traffic is something I recognise, that I was doing it wrong when I to started my internet business. Infact, the info here has enlightened me to retrospect the strategies applied to the business and make reasonable changes. Glad I stumbled upon this article somehow – got to say thank you kindly for creating and sharing it with us. It is appreciated. I was struggling to explain why people should avoid short tail keywords – even if there is that rare two or three work phrase that meets all the criteria of being low competition and being a natural language correct phrase term. – they convert less effectively than long tail keywords (it in a nutshell!). Thanks for the excellent graphic that illustrates the point fantastically. Do you mind if I borrow it for my own personal use (non-commercial) use? It makes a fabulous reminder and drives the point home fantastically! wow.. Thanks Peter for a nice summarize content about internet business and making money from it. I always have difficulty to seek for some reading or article then guide me through (a shorter version) on the entire idea. Now, i’m really clear about it and it excite me to be part of it! Perhaps i may consider your TEACHMEHOW series to learn more from you. Appreciate your kind sharing. You have no idea how long I’ve been wanting to find some place to make money online> I’ve actually searched for ways to make money at home or even just some desk jobs I could get that were work from home. But from waht you’re saying here, just creating simple website and getting keywords though google would help me out? I think that your tips and any of the guidances are may good- itÂ´s very interesting to have a nice income. Especially through the internet when I can do all the work in the comfort of my home. Nowadays itÂ´s a really great choice. Thank you about your explaining about Google environment and keyword research or similar topics.